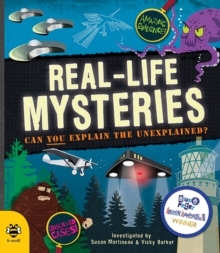 Real-life mysteries : can you explain the unexplained? From mysteries like Shackleton's ghostly companion to the Loch Ness Monster and friends, read the amazing evidence about these mysterious cases and make up your own mind. Things are not always what they seem - until they are, then you might wish you had never asked!